The county is working on bringing a renewed six-year levy to voters for parks and trails funding. As the end of King County’s six-year parks levy approaches, the county is working on bringing a renewed levy to voters to invest more in the regions parks, open space and recreation. Director of the King County Department of Natural Resources and Parks Christie True presented an overview of the upcoming levy to the Bellevue city council at its work study session on March 25. The councilmembers had a chance to ask questions and give feedback to True to take back to the county council as they work on preparing the levy to come before voters for the August 2019 election. King County Executive Dow Constantine proposed the new six-year property tax levy that is estimated to bring in $738 million over the six-year term. Constantine’s proposed levy rate is $16.82 per $1,000 of assessed home value. True explained that for a home valued at $500,000 the rate would add up to $7 a month, $2 more than King County homeowners pay now. The levy’s stated purpose is to keep up with the growing region to improve and maintain the trails, parks and open space. In her presentation to the Bellevue council, True broke down the goals of the levy and some of the associated costs. There is $275 million dedicated to operations and maintenance, with $44 million for repair and renovation of existing facilities. “The good problem that we have is that a lot of our parks are so heavily used that it’s time now for some of them to have significant investment in them. For example we have a lot of turf fields… that are worn out. They’ve come to a point where they need to be replaced,” True said. She also said that hiking trails are being used more than ever before. So much work needs to be done on repair, clean up, and ongoing maintenance of the trail systems, she said. For growth and connection throughout the county, $78 million is marked for investment in passive recreational uses, such as regional trails and open space. Another $35 million will be used for the development of a new conservation futures grant program available to cities. For new land acquired through the grant program, $18 million will be used to fund operations and maintenance. $154 million is dedicated to the goal of expanding and connecting regional trails, including the Eastside Rail Corridor which connects Bellevue, Kirkland, Renton, Redmond and Woodinville. 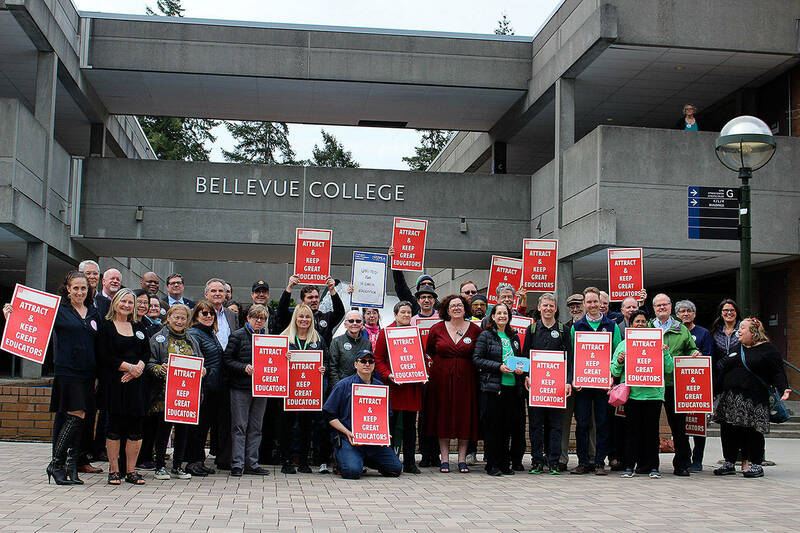 The King County Council is planning to take action by the end of April to get the levy on the Aug. 6 ballot. However, they are considering additional amendments that would raise the cost in order to collect additional funds for pools and wildlife habitat. Is discussion, Councilmembers John Stoeks and Jennifer Robertson asked how a regional pool facility could be funded under the new levy. The proposed grant program has a $5 million cap on each application, Mayor John Chelminiak added. Robertson said there are three cities who all want to work together on a pool, so it would be the most beneficial if each could apply for a grant — a single grant of $5 million would not be as beneficial to the project compared to a combined total of $15 million. Councilmember Jared Nieuwenhuis also asked True about the targeted equity grant program that is a part of the proposed levy. True said the program is intended to improve access for communities that don’t have a park within a safe walking distance. The county has mapped areas already and is looking to invest in communities based on several criteria including income, distance to a park, and poor health outcomes. The county is also looking at increased access through transportation as well.